* How is Your Sense of Human? Have you noticed how our computers and smartphones are becoming more intuitive when it comes to our spelling? For example, when I type in meditate it changes to mediate. Learned appears as lean red….. The other day I was commenting on Louise’s blog “Dare Boldly”. I typed in “sense of humor” and Apple changed it to sense of human. How funny and very true for this post about picking up in her yard! It made me pause …. 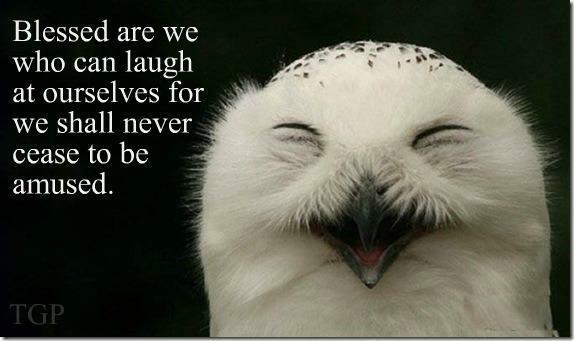 Having a sense of humor about being human is so important as we go through the highs and lows of life. we embrace our inner critter when it gets up to mischief! we realize that life is actually like a daytime soap opera! we look in the mirror, see our parent and laugh out loud! I love the title and messages contained in it and the post. Thank you, Val. Awesome posting! great message for all of us- funny how you transformed a “mistake” or “correction” into something much better. Hey Kim – the universe must have a sense of humor too! Val Boyko’s insightful connection between being human and being humor. Thank YOU Chloe. Keep smiling! The mind does strange things as I initially read your title as ‘sense’ of humour’. All the world needs a sense of human! Love your list. Thank you! Let’s pass it on with gusto! Thank you Don 🙂 I’m working on letting go with the text changes too! Oh, so very true! I like this very much and so agree about not taking ourselves so seriously. Thank you Barbara. There is so much happening in the world right now that can bring us down. Finding lightness and sharing it helps us find balance. This is so beautiful. Especially the line “we look in the mirror, see our parent and laugh out loud!”.